Checking your results on Instagram is important to optimizing your performance. Up until recently, Instagram didn’t give any statistics about your posts and account except for the number of likes, replies, and mentions of your profile. However, this has changed with the introduction of the Instagram Business Account (very similar to Facebook Business) which gives you access to Instagram Insights. It however has some limitations. For example, you get the data for the last seven days only. Not long, right? It’s impossible to conduct a thorough analysis on such a short timeframe. Also, when your Stories disappear, you lost their data. To understand your performance on Instagram, you need something extra, some external tool. Like Sotrender. 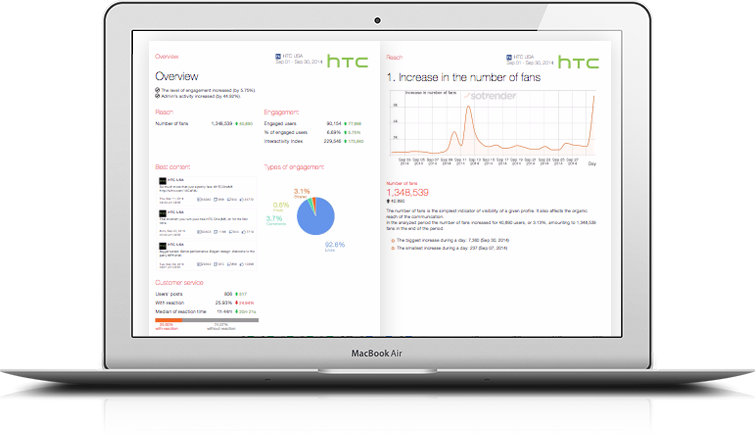 Sotrender is a social media analytics tool with advanced module of Instagram analytics. Using our tool you’re able analyze data for any time frame once you connect your Instagram business profile. On top of that, you have access to 1 month of historical data (you can learn everything about analysing Instagram performance here. profile clicks (to contact your brand, how to get there and everything else that is clickable on your profile in Instagram). With this knowledge, you can create the most interesting and engaging Stories!